Branson, Missouri, nestled in the lakeside beauty of the Ozark Mountains, is America’s affordable, wholesome family entertainment capital that emphasizes fun, comfort and the feeling of being right at home. Featuring an array of live theaters and attraction venues and active recreational pursuits, the community embodies essential American values such as patriotism, faith, courage and generosity of spirit in a warm inviting atmosphere that is truly genuine and heartfelt. Also home to more than 100 exciting shows and retains the title “Live Entertainment Capital of the World“! Branson is where everyone can sing along as superbly talented entertainers perform country, pop, rock, gospel, swing, and show tunes. The fun doesn’t stop there, comedians, magicians, kid shows and specialty acts lend a wide diversity to the entertainment offered here in Branson. Colorful costumes, vibrant lighting, talented performers and a stage full of smiles await guests at all of the shows! Branson also offers a wide range of recreational fun stuff for the whole family including boat rentals, personal water craft (jet skies), parasailing, sailing, public beaches, house boats, scuba diving, golfing, mini-golf, biking, hiking, water skiing, horse back riding, go-carts, water parks, laser-tag, fishing and a whole lot more. Branson offers indoor and outdoor water parks and mini-golf. There is a zoo in Branson West and Springfield, along with speed boat races in Rockaway Beach. Branson plays host to many events through out the year such as America’s largest veterans celebration, motorcycle rallys, festivals, conventions, and car shows including the one of the coolest traffic jams in America. Visit Silver Dollar City theme park where you will step back in time to an 1880’s craft village filled with the best crafts, thrill rides, family attractions and festivals in Branson, Missouri. 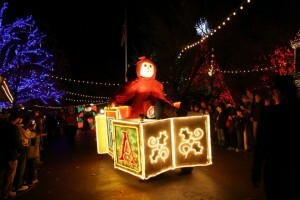 Silver Dollar City theme park hosts bluegrass festivals, craft festivals, southern gospel music festivals and a Christmas festival against the backdrop of the Ozark Mountains in scenic Branson. 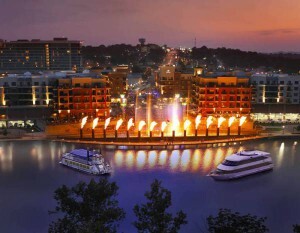 Take your family on a fantastic lake cruise aboard the magnificent Showboat Branson Belle in Branson, Missouri! Journey pastlush Ozark Mountains on the crystal clear waters of Table Rock Lake during your 2-hour lake cruise where you’ll experience fabulous Branson dining and the best in Branson shows. Your lake cruise and Branson dinner show features Showstoppers, an exciting productionstarring a tremendously talented cast showcasing over 30 award-winning numbers. It’s fun for the entire family – and kids are always half price! Dixie Stampede Dinner & Show features 32 magnificent horses, trick riding and audience participation on a grand scale, all served with a fabulous four-course feast. Enjoy a fun duck tour on your next trip to Branson. Branson’s duck tour is the only splash down Branson attraction in the area. Climb aboard a Duck, crafted from the WWII DUKW, and ride through the Ozarks. Splash down and cruise the lake. Take the wheel and drive the duck. Quack along with the captain and the music aboard this 70-minute Ozark adventure. 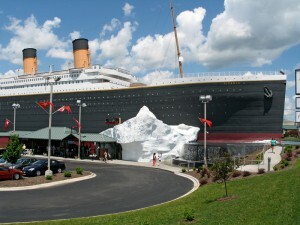 Your entertaining captain mixes fun, music and history into an interactive Branson experience. Branson duck tours are perfect for: Families, Adults and Seniors, Family Reunions, School Field Trips, Scouts, Camps, Senior Groups, Social Organizations, and Company Outings. Branson’s IMAX® Entertainment Complex has three thrilling choices for Big Screen entertainment! Choose GIANT-Screen IMAX Adventures for jaw-dropping escapades throughout the world and thru history. Find today’s hottest movies in our state-of-the-art, Elite Cinema III. And to top it all off, experience the biggest and best Hollywood Movies every night on the GIANT-Screen IMAX! “If you can’t find it in Branson, Missouri – you can’t find it!” So, put on those comfortable shoes and get ready for some shop-till-you-drop fun. Branson shopping malls and stores are open all year round and there is always something for everyone. Branson has over 200 famous brand name outlet stores and some of the most unique shops in the country.Three Outlet malls within a mile of each other. Many of the gift and craft specialty stores are stocked with discounts on fabrics, jewelry, clothing and house wares. From Victorian decorations to furniture and sports, casual wear to absolute elegance – whether you are looking for bargains, collectibles antiques or mementos of your trip to Branson, Missouri – it’s all here. Branson has over a half-dozen major golf courses located in the area. Whatever you are looking for in a course, Branson is sure to have it. Above are the Branson golf facilities that accommodate and cater to the beginning player – to the challenging fairways that would test a seasoned expert’s abilities. Branson, MO climate is warm during summer when temperatures tend to be in the 70’s and very cold during winter when temperatures tend to be in the 30’s. The warmest month of the year is July with an average maximum temperature of 90.30 degrees Fahrenheit, while the coldest month of the year is January with an average minimum temperature of 20.70 degrees Fahrenheit. Temperature variations between night and day tend to be moderate during summer with adifference that can reach 27 degrees Fahrenheit, and moderate during winter with an average difference of 24 degrees Fahrenheit. The annual average precipitation at Branson is 43.19 Inches. Rainfall in is fairly evenly distributed throughout the year. The wettest month of the year is November with an average rainfall of 4.63 Inches.